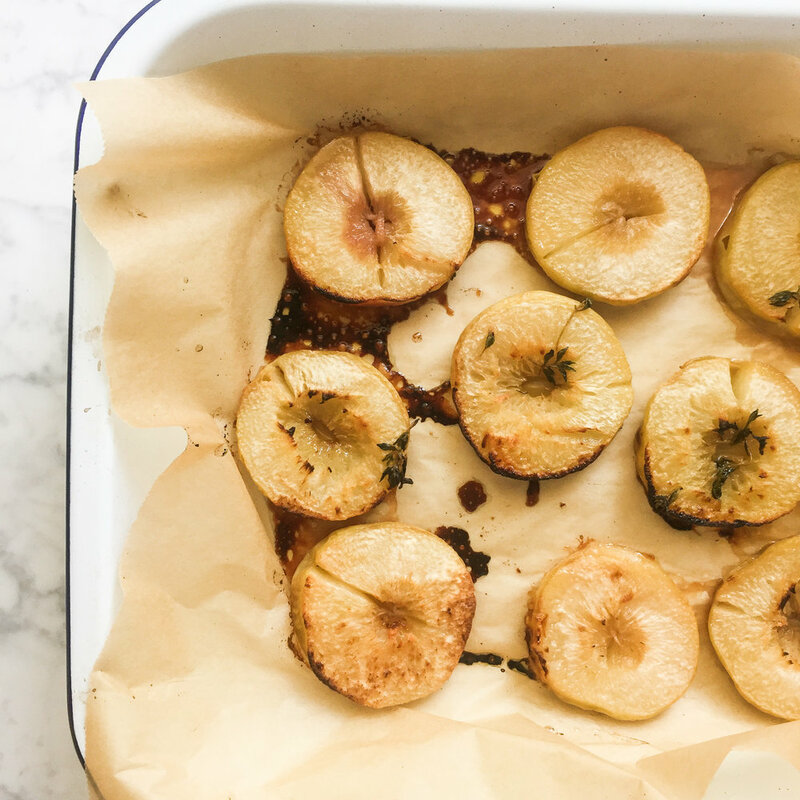 Roasting Summer fruits is the best way to bring out their flavour, especially if they aren't perfectly ripe. Experiment with stone fruits and combinations you like: this would work with apricots, or nectarines too. Peaches with fresh thyme is my favourite and in the Winter plums with cinnamon. This isn't really a recipe, it is so easy you'll be making it again and again. Expect sunshine on a plate: the perfect sweet treat, for the whole family. Preheat the oven to 180C (fan oven). Next prep the fruit: wash and halve the stone fruits (I am using peaches), removing the stones and discarding. To cook, melt a little butter in a frying pan add some thyme leaves (if using). Cook the fruits for 2-3 minutes, on the cut side, until coated in butter and starting to caramelise. Place on a baking tray lined with baking paper, arrange the peaches (cut side up) and roast until soft. For the last few minutes of cooking, add a tablespoon of maple syrup for a little more sweetness, drizzled over the top (this is optional). Cool before serving and serve with natural yoghurt.